U.S. Bellows, Inc. received this single expansion joint in the morning, refurbished it, and shipped it to the customer the very same day. The expansion joint bellows, liner, and cover were replaced. The carbon steel parts were sand blasted, cleaned and painted. The expansion joint was 4″ I.D. x 16 3/4″ face-to-face. 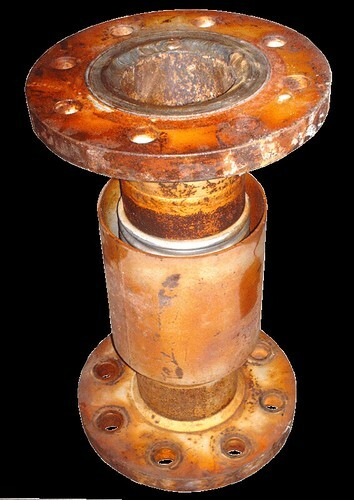 The design conditions of the expansion joint were 345 PSI at 500F. The expansion joint was 100% dye-penetrant examined and hydro-tested to 518 PSIG prior to being shipped back to a local area refinery.